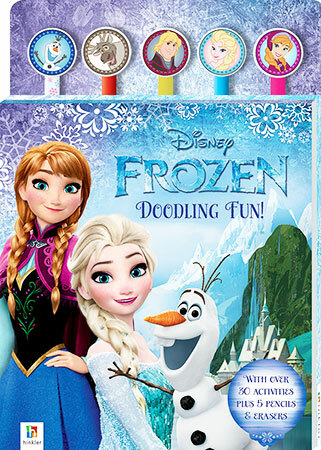 Disney Frozen Doodling Fun, , 9781488912306 at Carnival Book Shop Carnival Book Shop Kids Choice Childrens Bookstore, Best Books at discounted prices delivered direct to you. Carnival Book Shop Kids Choice here and save! Follow the instructions to finish the scenes inside featuring all your favourite Frozen characters. Then, colour them in! With over 30 activities plus 5 pencils & erasers.